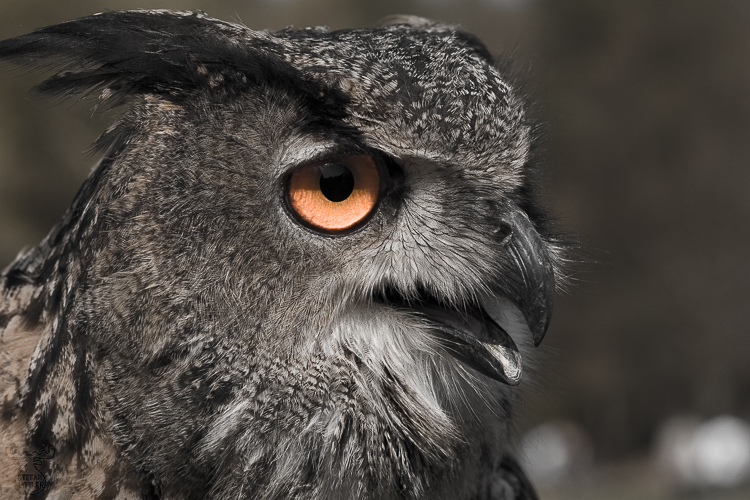 This European Eagle Owl was portrayed in captive conditions. I assume, it might have been pretty difficult to get that close in nature. The eyes being that intense in color made me desaturate the rest of the the image to expose this detail even more. Not a nature image finally, but still showing the dignity of the bird.